Look, we don’t advocate wagering on college football since we know (as do the Suits in Indianapolis [Formerlyu Kansas] that the game is a noble endeavor played by student athletes as pure as the driven snow. 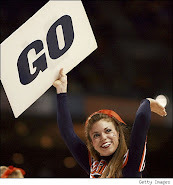 We know (just like the Suits in Indianapolis [Formerly Kansas]) that money has NOTHING to do with college football. With that as disclaimer, we do publish the line on ACC football games just to establish who the sharp guys think are going to win…see above. Boise State (-41) vs. New Mexico. That’s the kind of line you see early in the season when Alabama plays the University of Phoenix or Oklahoma enjoys a visit from Strayer College. Not what one typically sees in week 10 of any college football season. 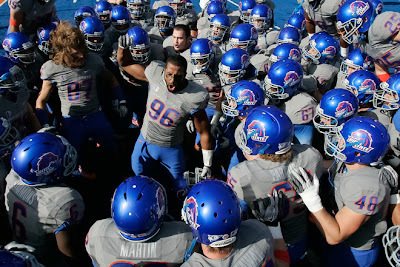 Boise State is undefeated and again looking to crash the BCS National Championship. UNLV is just bad. 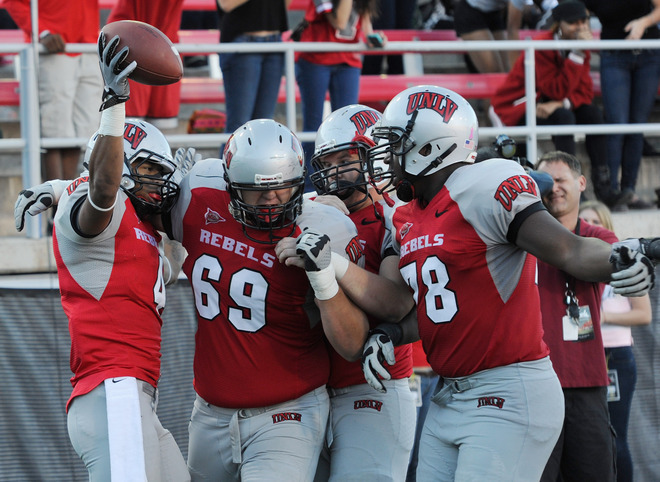 The Rebels are 2-5 and they gave up 51 points to Wisconsin, 59 points to Washington State and 41 points to Southern Utah and Wyoming. Not coincidentally, they lost all of those games.